With the anthemic call-to-arms opening track of their fifth album, 1993’s Chaos A.D., here is Sepultura. Watch the official video for “Refuse/Resist” here below. Hailing from Brazil and led by brothers Max and Igor Cavalera, the band broke new ground and paved the way for many bands that would follow in their footsteps. AllMusic declared Chaos A.D. one of the best heavy metal albums of all time, calling it “a remarkable achievement not only in its concentrated power and originality, but also in the degree to which Sepultura eclipsed their idols in offering a vision of heavy metal’s future.” To me, the same could be said of each and every one of the first six albums that the band issued. Max and Igor would eventually both leave the band that they founded and can currently be seen performing together as Cavalera Conspiracy. 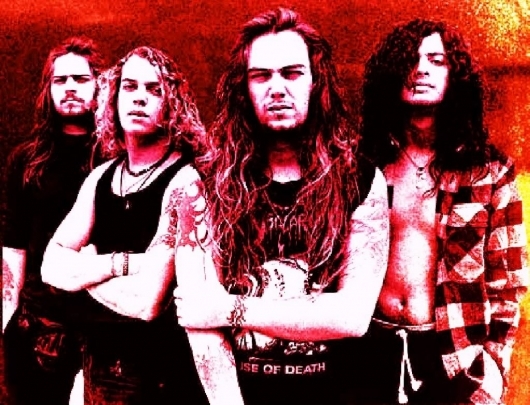 Sepultura have soldiered on without them and remain one of the biggest draws in metal.